An extremely unique live edge black walnut table with a hidden treasure- an exposed walnut that was swallowed up into the tree as it continued to grow for decades. The unfathomable odds of the walnut staying preserved within the tree, sliced perfectly in the milling process, and finding it's way into our shop gives this seemingly small detail extraordinary appreciation and beauty. 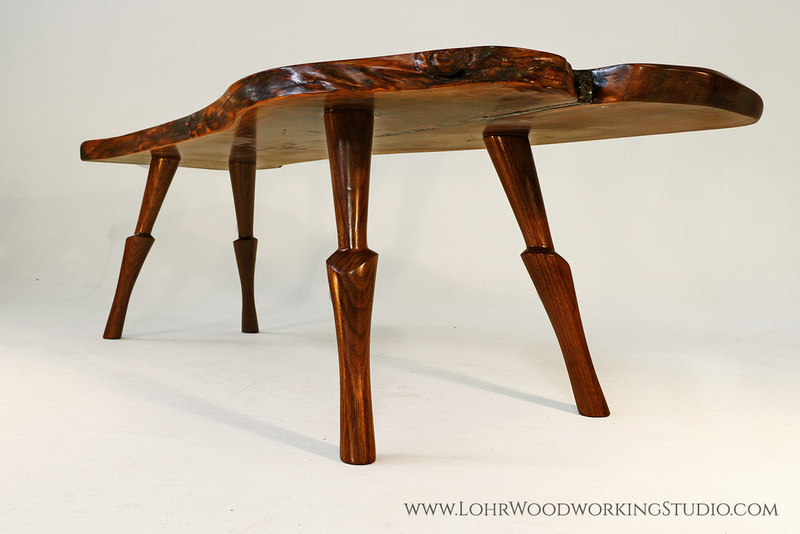 Complete with hand-sculpted legs and a highly figured crotch tabletop to boot, this table is full of incredible detail. 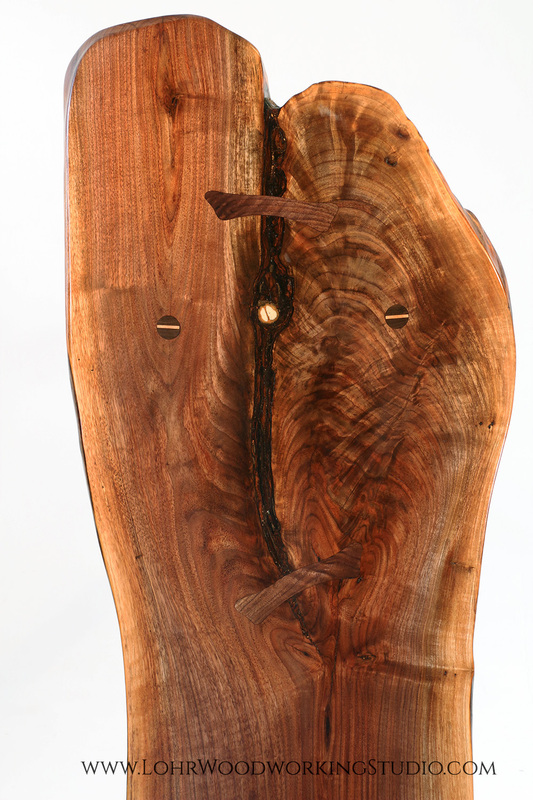 Even the bark inclusion (and of course, it's captured walnut treasure) that runs through the split in the crotch adds such amazing organic, eye-catching pattern. 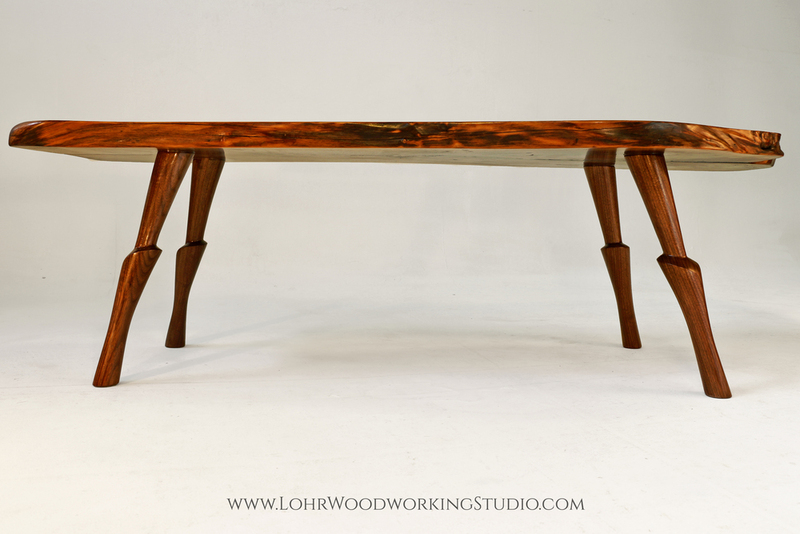 The table is coated with a durable finish so, like all of our handmade furniture, it is ready to be used as well as admired in your home! Read and see about how it was made here!